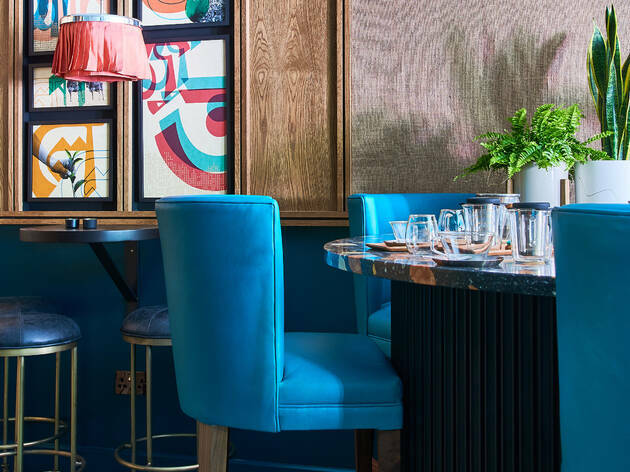 Tea shop meets bar in the middle of Covent Garden. 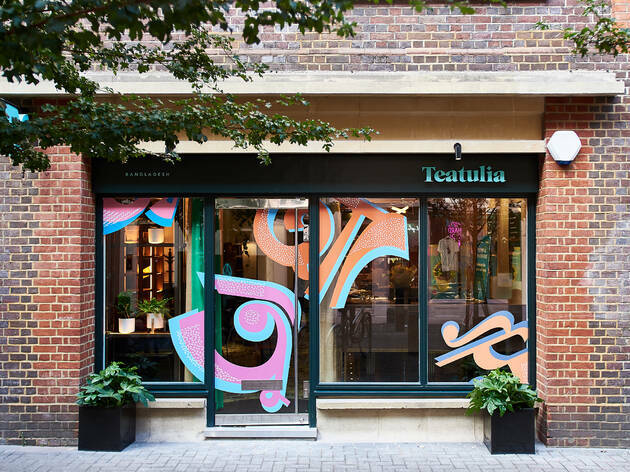 I almost mistook Teatulia for another of Seven Dials’ many smart boutiques, sandwiched between make-up and shoe shops (it took a few zooms on Google Maps to confirm its unlikely location). But that’s probably because it sort of is – a fancy single-origin tea shop that doubles as a bar and sources leaves from its garden in Bangladesh. Upon entering, we were greeted by friendly staff, plus shelf upon shelf of loose-leaf teas in pretty pots and the wonderful scents that accompanied them. It looks more like a bourgeois organic shop than a bar at first glance, so you may be unaware of the tea-infused cocktails until you take a seat in one of the comfortable armchairs and have a look at the menu. 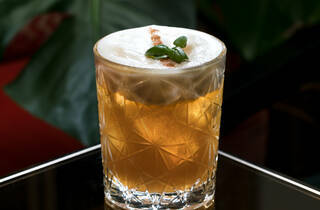 It’s a short read, consisting of around seven cocktails in total, some of which are non-alcoholic but sound just as tantalising. 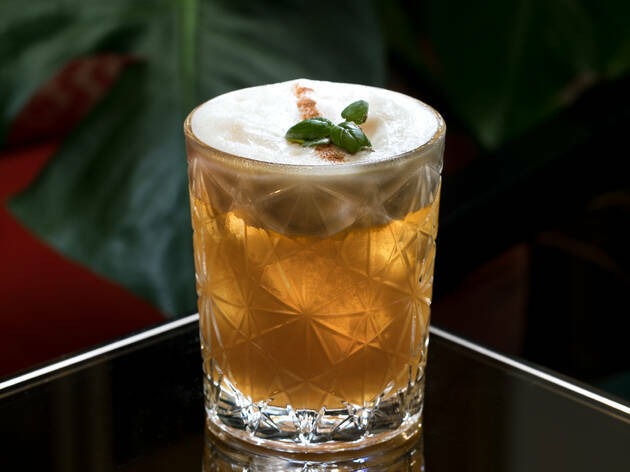 Suffering from seasonal cold and flu symptoms during our visit, we picked the Chai Hot-Butter Rum, which came with a side of salted caramel candyfloss, and a bittersweet Ginger Snap infused with coriander, basil and cucumber – both costing £10. 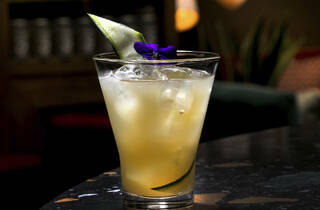 We’d had the bar staff pegged as tea specialists as opposed to mixologists until we tried these surprisingly delicious concoctions, each using tea leaves at their core. 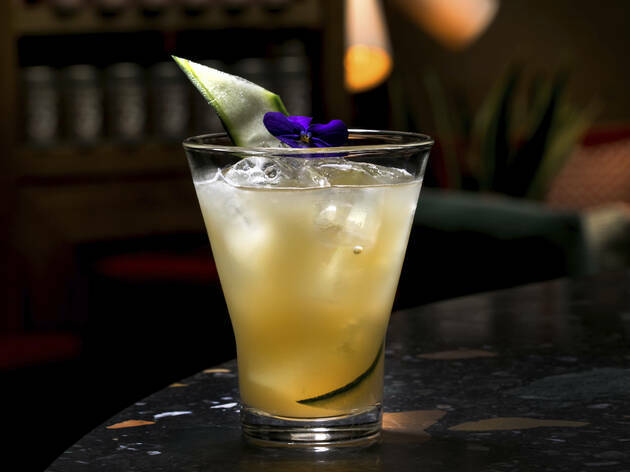 There isn’t a great deal of choice, but Teatulia could be a great option if you’re doing Dry January – alcohol-free cocktails like the Green Tea Ginger Cooler looked particularly palatable. Although the space is beautifully designed (complete with its own library curated by Tilda Swinton) it’s hard to escape the fact that you’re sipping in a shop. 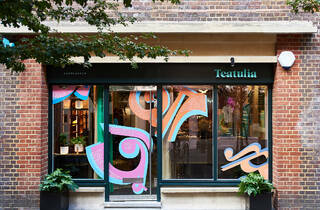 But if you are a total tea fiend (teetotal or not), it’s well worth checking out.